To learn more about how geoscientists classify the variations in volcanic and other igneous rocks, read the blog article A Million Names. 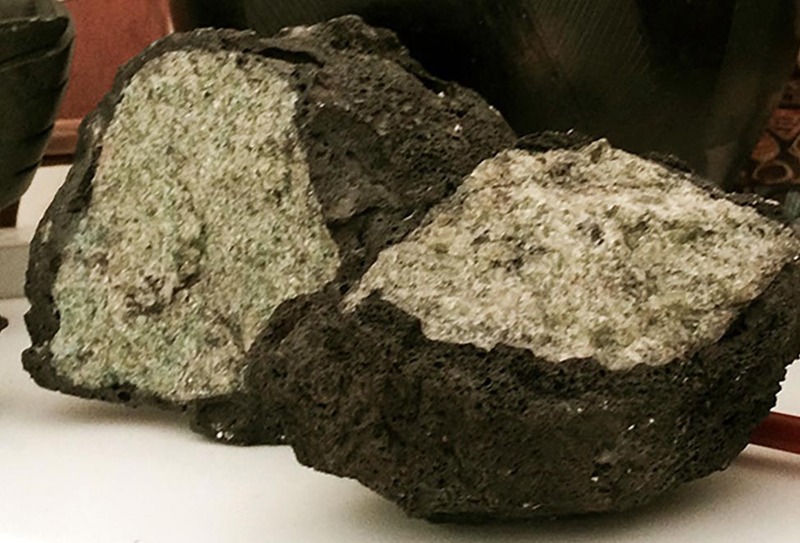 In 2018, all eyes are on the erupting volcanic magmas of Hawaii – rivers, fountains, and vertical plumes – all producing a dark, fine-grained rock known as basalt. Basalts melt in the earth’s mantle and are relatively low in silica – hence they are ‘runny’ or have low viscosity. 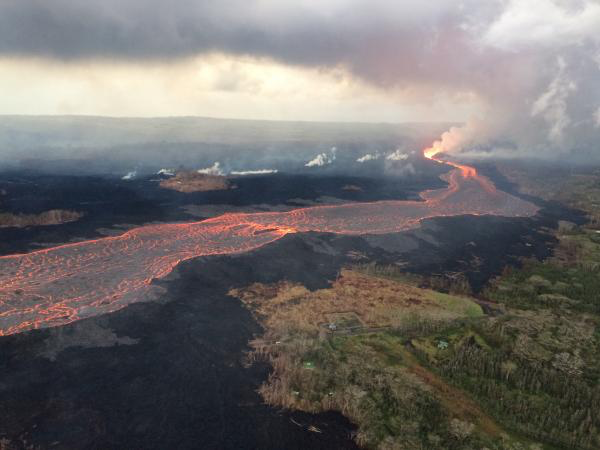 Continued eruption at Fissure 8 feeds the voluminous lava channel to the ocean as seen during an overflight of the lava-flow field. Mineshaft basalt is mined in the copper-rich district of upper Michigan.